With the passage of the California Domestic Worker Bill of Rights, most domestic workers are now entitled to some form of overtime pay! 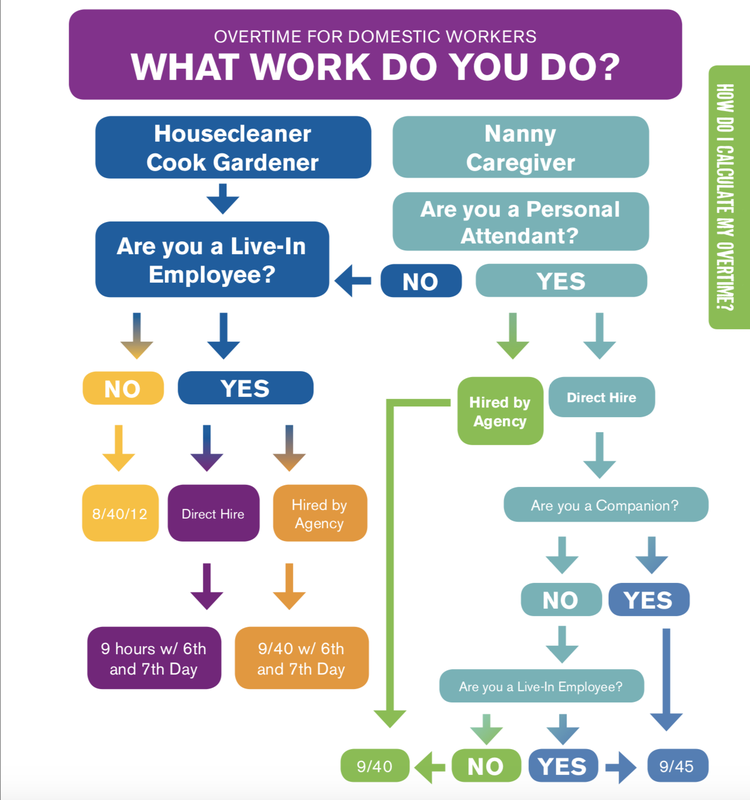 However there are exceptions, and your overtime pay depends on the type of domestic work that you do and whether you live-in or live-out of your employer’s home. Certain childcare providers working for families that get state childcare funds. These workers may be entitled to federal overtime laws as long as they are NOT companions or live-in domestic workers hired directly by the household for whom the worker provides services (direct-hire). How do I calculate my overtime? Over 8 hours on the 7th consecutive day in a week. If you are a personal attendant, you gained the right to 9/45 state overtime on January 1, 2014. The federal laws also changed on January 1, 2015, expanding the right to federal overtime (after 40 hours in a week) to personal attendants. If you are a live-in employee, generally it means that you are staying at your employer’s residence, as a requirement of the job, for at least 5 or more days.